Located in southwest Norway, the Setesdal valley is one of Europe's hidden climbing gems, providing world-class routes throughout the year. 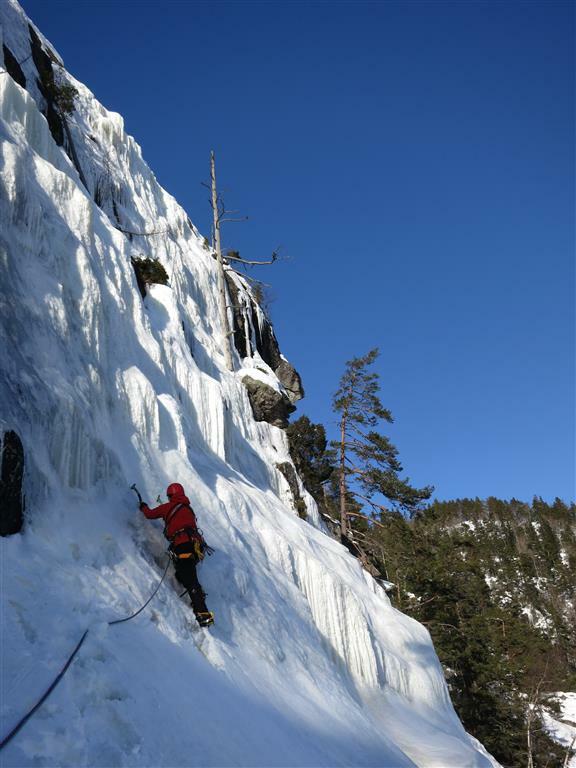 And when the long winter draws in, the huge granite walls and towering waterfalls become an ice-climber's paradise. 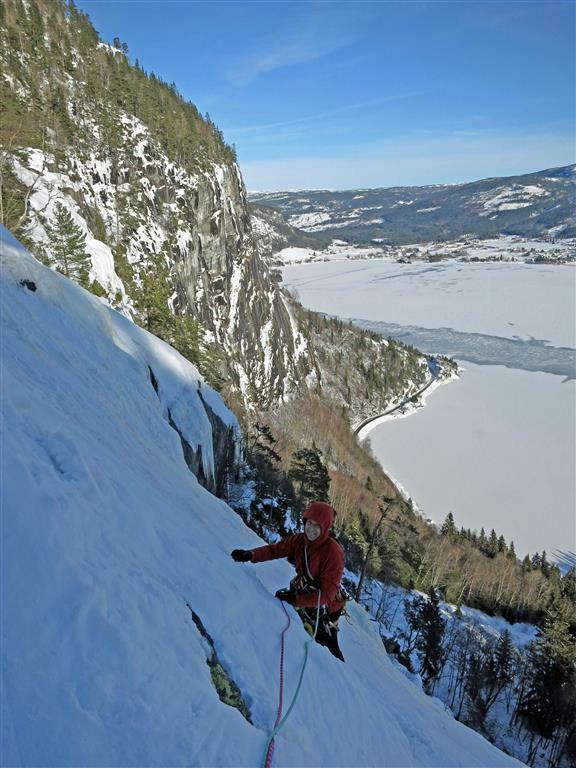 If you're looking for an ice-climbing trip that is easy to organise, has reliable climbing, doesn't cost the earth, and still has plenty of adventure then Norway's Setesdal Valley is for you... Away from the crowds that descend upon nearby Rjukan each winter, Setesdal is rural Norway at its best. 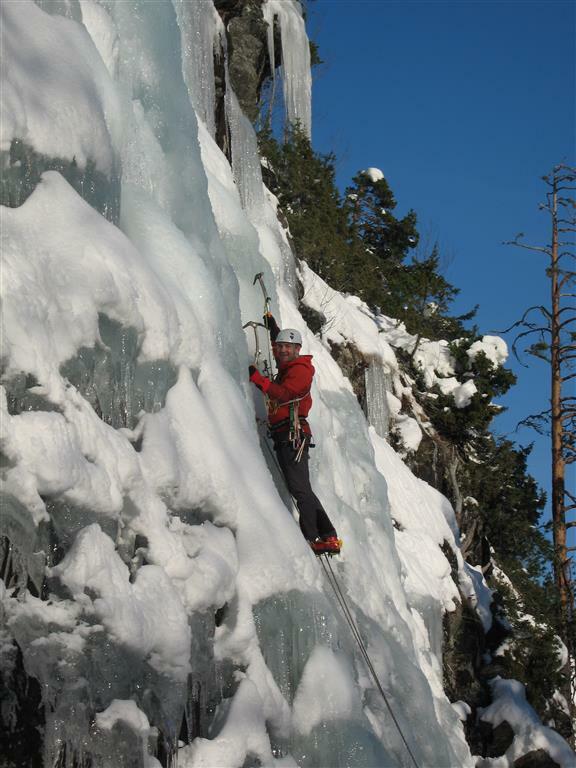 There's everything here from roadside ice crags, to full-day ice epics; routes spanning the grade range from WI2 to WI7. 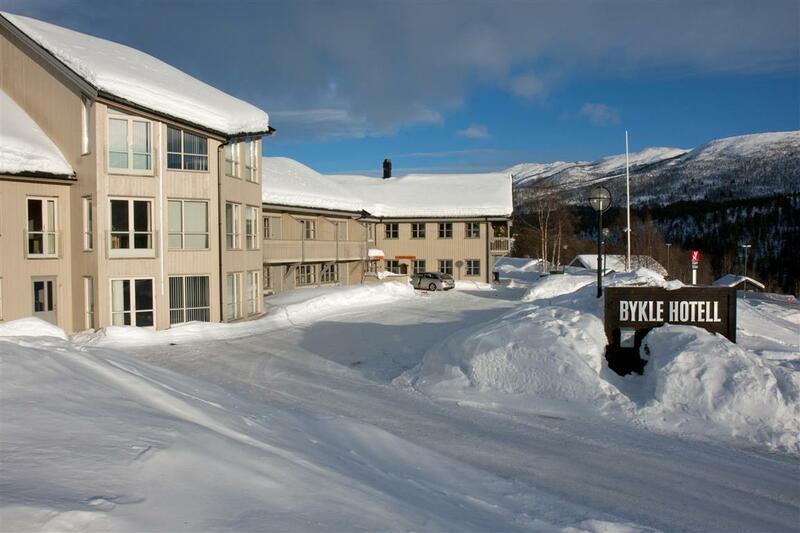 Add to that frequent cheap flights, easy access from Oslo, ample comfortable accommodation, and some of Europe's most reliable roadside ice, and you've a destination not to be missed. 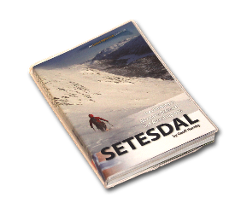 "I will never forget my first visit to Setesdal. We were armed with an incomplete, text-only document vaguely describing a hundred or so ice climbs along the length of the valley; we were lured by the promise of world-class ice, short approaches, first ascents and an almost guaranteed lack of other climbers. I didn't really know what to expect. Four days later I felt as if I had been let in on a great secret. Geoff's 'guidebook', so primitive in its first impression, seemed to reveal a unique, simple charm that had me curiously hooked. Something about this rural valley, and these routes, enchanted me and cast aside any doubts that I may have had about the place. In the evenings we pored over the guide; we enjoyed deciphering its tantalising content, looking for routes we could climb, and hints of routes which hadn't yet been climbed. The more we read, the more captivated we became. This was everything I looked for in a climbing mini-break: it was great value, easy to organise, close to home, yet full of adventure. It was everything it had promised, and a little bit more. Setesdal, of course, will not remain remote and untouched. It is already becoming established as a major centre for summer climbing, and its world-class winter potential will surely follow suit. In the meantime, however, I envy anyone making their first trip to the valley – it almost certainly won't be their last."